The Democratic People’s Republic of Korea (DPRK) has experienced widespread food shortages since the mid-1990s. In spite of efforts to achieve agricultural self-sufficiency, the country does not produce enough food to feed its population of 24.8 million. Production is largely constrained by insufficient arable land, over-cultivation, a scarcity of quality fertilizers and pesticides, low mechanization and low levels of irrigation. These factors leave the agricultural system prone to climate shocks. DPRK was classified as “serious” on the 2015 Global Hunger Index. A 2012 National Nutrition Survey confirmed that the nutritional status of children in the country had improved since 2009, with chronic malnutrition falling from 32.4 percent to 27.9 percent. Nonetheless, a 2014 analysis by WFP found that 81 percent of DPRK’s population does not have acceptable diversity in their diet, consuming 25 percent less protein and 30 percent less fat than required for a healthy life, according to international standards. One in three children under age five and almost half of all children between 12 months and 23 months are anemic. In 2015, WFP conducted a Food Security and Nutrition Assessment among children in WFP-supported nurseries, which showed that the 25.4 percent stunting prevalence in is at moderate to high levels. Reduce hunger and undernutrition among women and children by providing nutrition support to improve dietary diversity through school and preschool meals and targeted nutrition support. This program is targeting 2.2 million women and children over the next three years. Restore and rebuild livelihoods to enhance food security through food-for-community development activities. Support the Government in reducing hunger and undernutrition through local production of fortified food. These life-saving interventions are targeting some 13 million people this year. 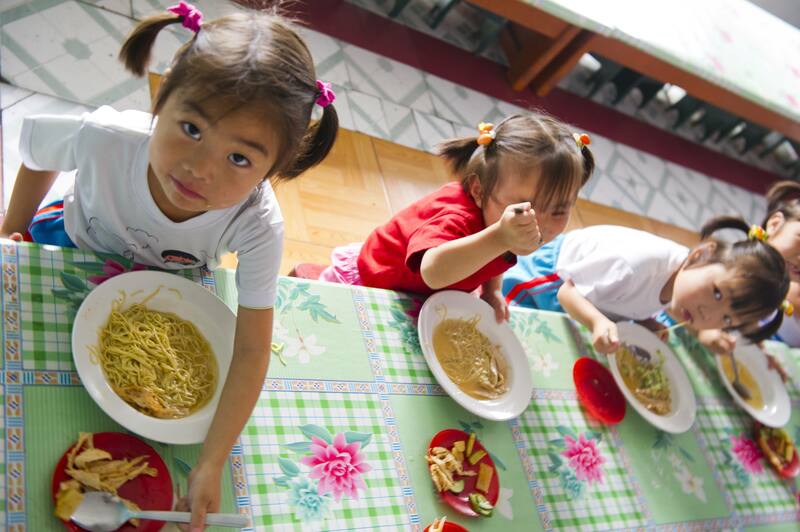 In addition, WFP co-chairs the DPRK Food Security and Agriculture Working Group and the Nutrition Working Group.